In just two days the us operator Cricket Wireless will market at a price of $ 200, with no monthly contract, new phablet ZTE Grand X Max. 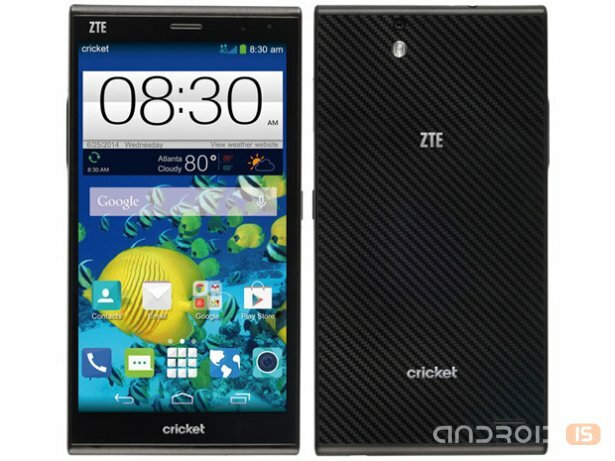 On Thursday, October 10, the day of the traditional visit sauna, ZTE and Cricket have planned the release of a new 6-inch phablet ZTE Grand X Max, which is still positioned as an exclusive model operator Cricket Wireless. Equipped with a 6-inch display with a resolution of 1280x720 pixels, the smartphone ZTE Grand X Max is built on a single-chip system Qualcomm Snapdragon 200 with four cores operating at a clock frequency of 1.2 GHz, has a base set 1 GB of RAM and 8 GB of internal memory, expandable through cards microSD, modest megapixel front and 8-megapixel main camera with LED flash, modules Wi-Fi 802.11 b/g/n and Bluetooth 4.0 the Micro-USB port and a standard 3.5-millimeter headphone Jack and battery capacity of 3500 mAh, charge which is enough for 6.5 hours of Autonomous operation of the device in talk mode and 3G, and up to 860 hours standby. Work ZTE Grand X Max running on Android 4.4 KitKat. Interestingly, among the key advantages of the device manufacturer specifies first, it is thin enough for a 6-inch camera body - only 7.8 mm, weighs 171g, and secondly, support for Qualcomm Quick Charge for faster charging, as well as Peel Smart Remote app to control home appliances. Again, the cost of ZTE Grand X Max makes $199.99.